Review: Eric Sloane (Dennis Alexio) is an American kickboxing pro, helped by his brother, Kurt (Jean-Claude Van Damme), in his quest for glory. But when the two go to Thailand to take on the legendary Tong Po (Michel Qissi), the opponent viciously beats Eric and leaves him paralyzed. Swearing vengeance, Kurt tracks down master Xian Chow (Dennis Chan) and begins learning the sport himself while also getting caught up in criminal intrigue involving thuggish crime boss Freddy Li (Ka Ting Lee). Kickboxer is another one of those Van Damme movies that plays to its audience perfectly. While it's understandable for many to not enjoy this movie, those who appreciate a good martial arts flick with a good story and well-choreographed fight scenes will surely love this. 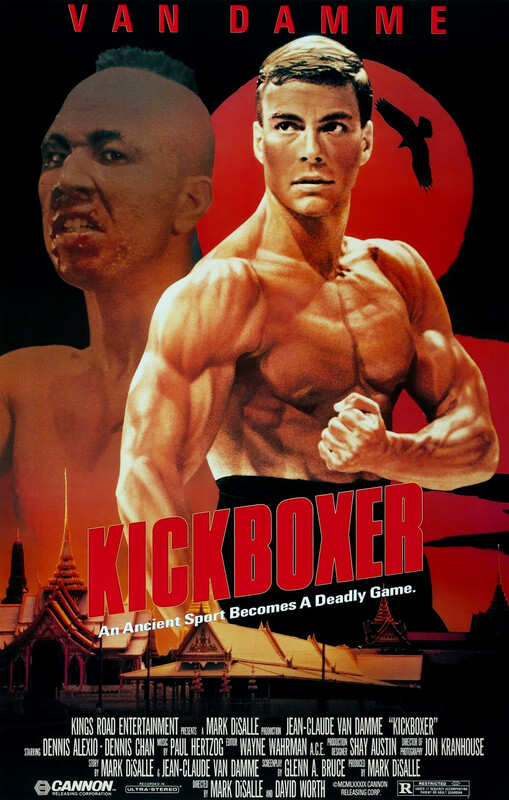 What I enjoy most about Kickboxer is that it's a quintessential 80's action flick. There's training montages set to power ballads, a bunch of cheesiness, and a whole lot of entertainment. This movie also does a great job of really showcasing how talented of a martial artist that Jean-Claude Van Damme is. Not just JCVD, but co-stars Dennis Alexio and Michel Qissi are accomplished martial artists as well. This film is authentic, and one of Van Damme's best in my opinion. Qissi's villain, Tong Po, is truly terrifying, and I would argue this movie beats Bloodsport in terms of its final fight scene. I highly recommend this movie to fans of this genre! *Bonus -- Click here to see Jean-Claude Van Damme hilariously re-create the infamous dance scene on Conan. Fun Fact: Dennis Alexio, who plays Eric Sloane, was a World Light Heavyweight and World Cruiserweight kickboxing champion in real life. Alexio's character wins the International Sport Karate Association (ISKA) Heavyweight Championship belt at the beginning of the film.